Dog walkers are, of course, welcome in Selsdon Wood but I was saddened to receive this letter today showing that not all walkers are sufficiently considerate to the needs of others. I would also ask dog owners to not bag their dog waste only to hang it in trees! Whilst remembering that the woods are there for a number of users, please could we ALL be considerate to others. Please educate your children to not approach dogs they don’t know - not all are aggressive but parents rarely tolerate their children being sniffed at or accidentally knocked over by a playful dog. Please refrain from feeding your dog raw bones in a public space - not everyone raw feeds their dog, and no-one appreciates their own dog running away with ‘food’ they haven’t chosen for their dog. Most importantly, a bone is of very high value to yours and any other dog which can and WILL escalate to aggressive behaviour between dogs - not an outcome that anyone wants. Last, but by no means least, if you are aware that your dog likes to ‘be the boss’, can ‘be a bit grumpy’ or dominate others, please be reminded that not everyone wants to own an aggressive dog, or for theirs to become one as a result of your dog’s behaviour and it is a LEGAL responsibility for you to ensure that your dog is wearing a collar and ID tag at all times (Control of Dogs Order 1992). You might consider your dog to be of a ‘family friendly’ breed but all too often of late I have discovered that not to be the case. If you know your dog will be aggressive to others it is ENTIRELY YOUR responsibility to ensure that your dog is on a lead at ALL times. We are spoilt to have such a beautiful space on our doorstep, and most users of the woods act responsibly and there are a lot of people who travel from outside the area for this reason. Please could we ALL show consideration for others to ensure that it remains as such for all. 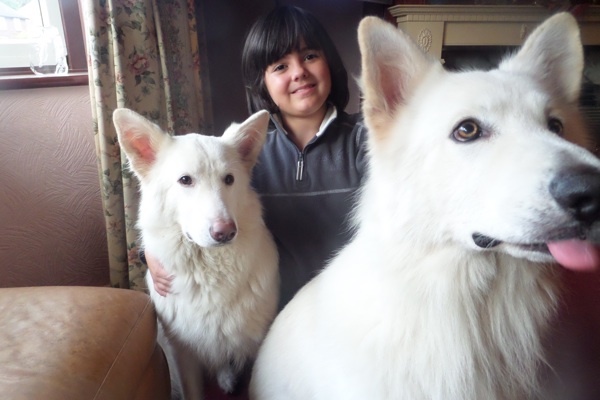 Rock & Tiana (long haired German Shepherds) are our family pets who have been with us since they were just 9 weeks old, They have had two litters of pups between them and are the most loyal and friendly family dogs I could ever wish for. 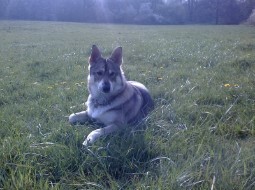 My beautiful dog called Cassie is 10 months old and adores her walks over in Selsdon Woods. 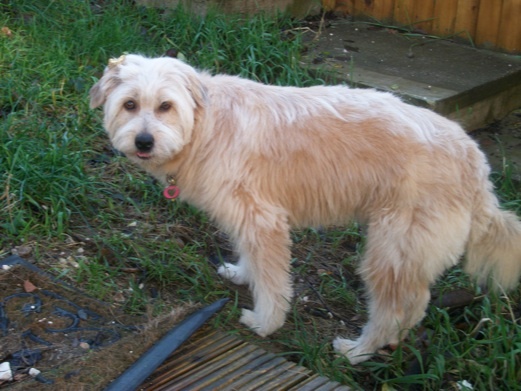 She was rescued from Romania where she was abandoned on a rubbish site with her brother when they were only 4 weeks old. Action Aid for Animals rescued and fostered her until we adopted her at 6 months old. She was nervous and scared at first but has come on in leaps and bounds. She's now confident and a bit spoilt. 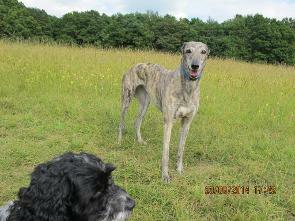 Not shown in Selsdon Wood but she has been a frequent walker here too. Marley is three years old but he acts like a puppy. 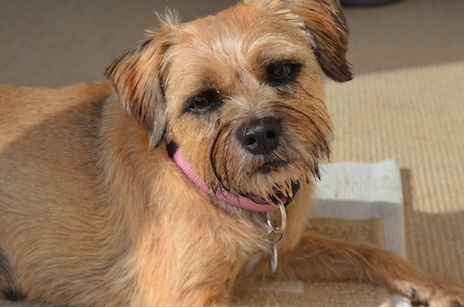 Incredible as it may seem, Marley is a rescue dog. One day his owners decided they didn’t want him any more. He is still trying to work out what he did wrong because he only wants to please! 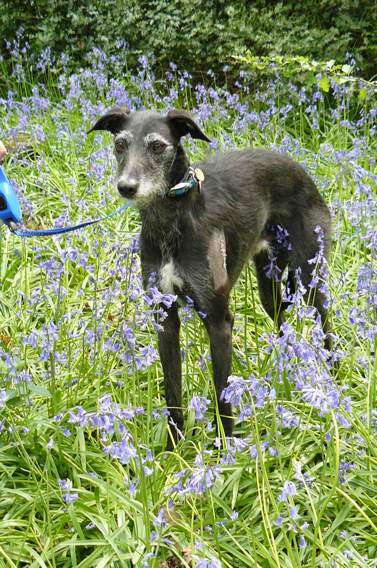 He probably wasn’t socialised properly because he is quite nervous of other dogs. Marley really wants to make doggie friends though, despite the barking, so if you see him please come and say hello (although he does get over-whelmed by big dogs, overly male dogs and dogs that are quite boisterous). Seamus is around two years old maybe more. We are his third home, he is gentle and loves children and other dogs, but was locked in a garage in a crate for nine months, so he lost all his puppyhood. He loves playing with tennis balls over in the woods. We have lots of fun with him, and he lives with us - Jeff, Jack, Harry and James. 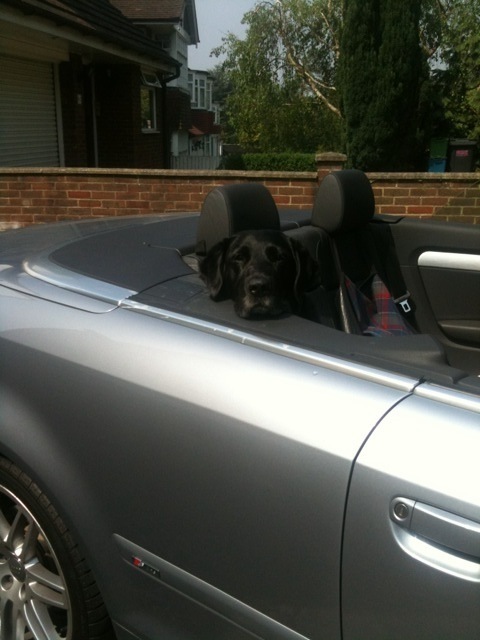 Bella is our third Lab (born 3/10/11) following in the shoes of Lido (1982-1996) and Cassie (1996-2010). All have loved Selsdon Wood. 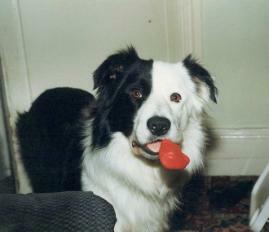 She's our second Collie after Callum (see right) who passed away in March 2010. We've both had dogs continually since we were children. We've had her since Nov 2010 & she's a rescue (found locked in a shed on a farm in Ireland) from a North London charity All Dogs Matter. 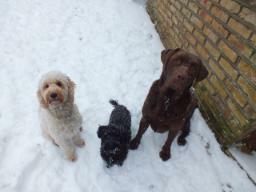 If you'd like to add a few words of caption to tell us all a bit more about your dog that would be great! Lisa Dervish of Doggee Daycare has set up a WhatsApp group which has already proved it's worth by re-uniting lost dogs with owners. 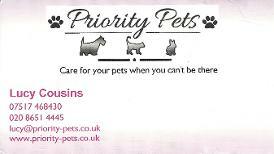 To join text her on her mobile 07540 960610 and she will add you. 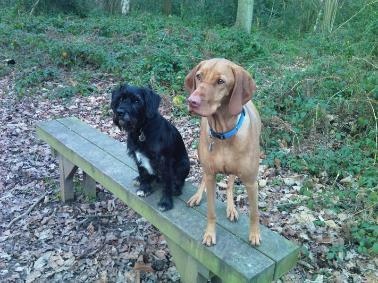 Lisa has also set up a Facebook page called Selsdon Wood Dog Group and would welcome new members. - ex racing greyhound - retired fairly late in her life (she must have been good) - photo taken June 2014.
to be the most obedient, gentle and affectionate of dogs, and she had a "sense of humour" so to speak, knew when she was teased and played the game, giving us some doggie smiles with her front teeth showing! Loved people and went to greet most known people in the woods. She passed away in June 2016, after 6 years with us. Both are rescue dogs. They're as mad as each other, and us! 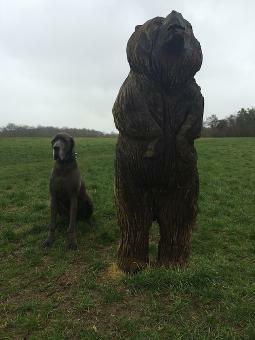 striking his best pose next to the Selsdon Wood bear! Boycey, or 'Chance Major Forever In Blue', to give him his full name, is a 4 year old Great Dane. 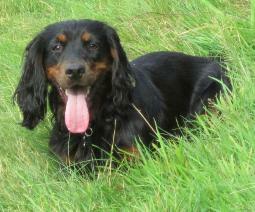 He arrived as a nine week old pup from a breeder in Chester and has since adapted well to life in the South East! 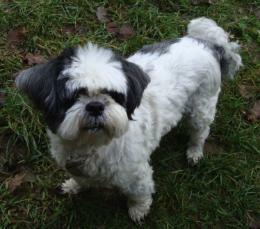 Boycey enjoys long walks, sleeping and eating and has a particular fondness for cheese and ice cream!! Buddy is 6 years old. He is very friendly and loves chasing squirrels. 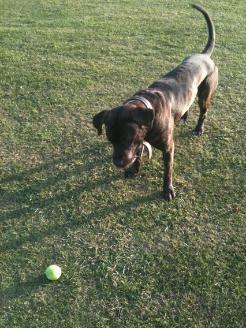 Often to be seen walking with Ludo. Boot is often taken for a puppy but in fact is over 14 years old. He belongs to an elderly gentleman (Robin) who cannot now walk him and so usually walks with me (Heather Govier) and Bella. 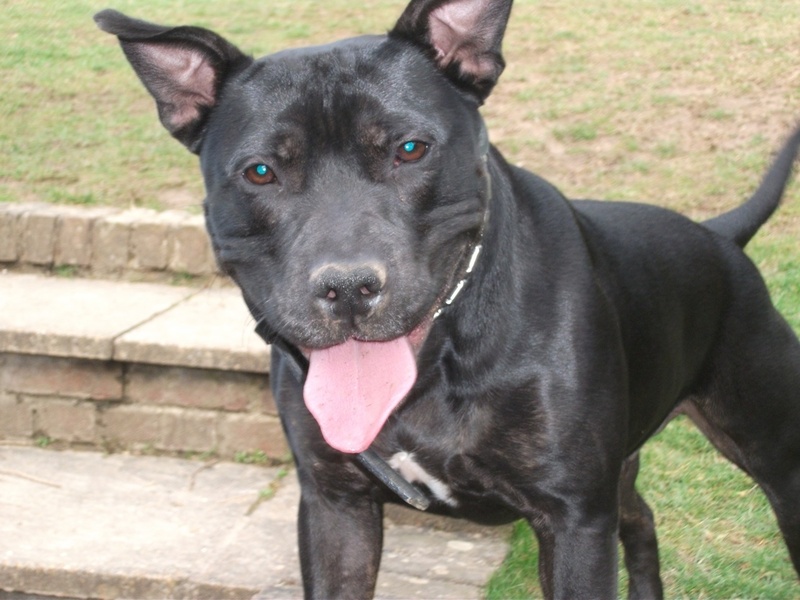 Charlie is a Battersea Dogs' Home rescued boy. He was "gifted" to them (as they call it) when he was one year old and stayed there for one year until we found him in rehabilitation. He is now approximately 10 years old. He had eaten his previous owner's house - probably because they both worked and left him alone as a puppy for a minimum of 9 hours a day. Idiots!!! He is a complete mutt but looks like a giant Jack Russell. We had him from an eight week old pup until he passed away at 14.5 years. Regular dog walkers will recognise him as his favourite trick was to find the largest branch he could & drag it round with him so he was affectionately known as the "tree" dog. Tika (see above) used to play with Callum, but I haven't seen him for years. We have had him since September 2012 and take him to the woods every day. 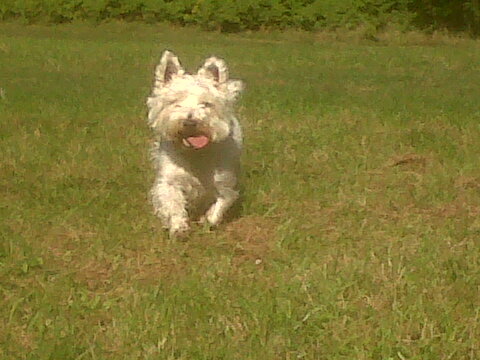 He loves long grass, drinking muddy water and chasing squirrels! Mollie loves running around the woods and finding the biggest, dirtiest puddles. He really enjoyed his afternoon in the woods! 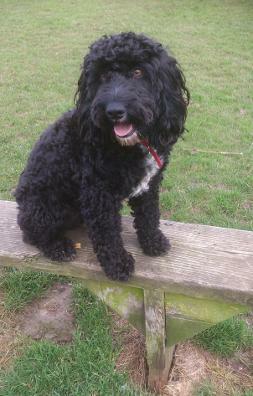 Lola is a cockapoo who is nearly 4 and loves her daily walks in Selsdon Woods. Max was 5 years old in August and we have had him since he was 8 weeks old. 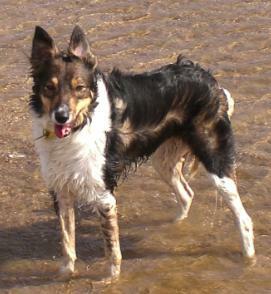 His mother was a sheep dog and his father was a search and rescue dog. Max is very clever and finds the way home for me if I get lost on a long hike! 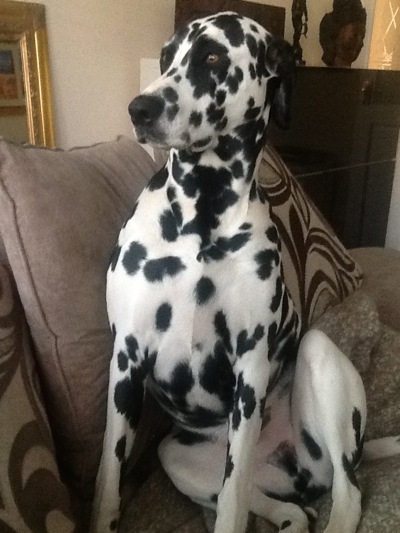 Jack (full name: Jacque Daniel's No7) s a 5 year old Dalmatian. 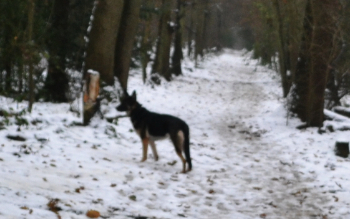 We have been walking him at Selsdon woods since he was 8 weeks old. Ludo is nine on April 1st and just loves chasing anything that moves. Often to be seen walking with Buddy. 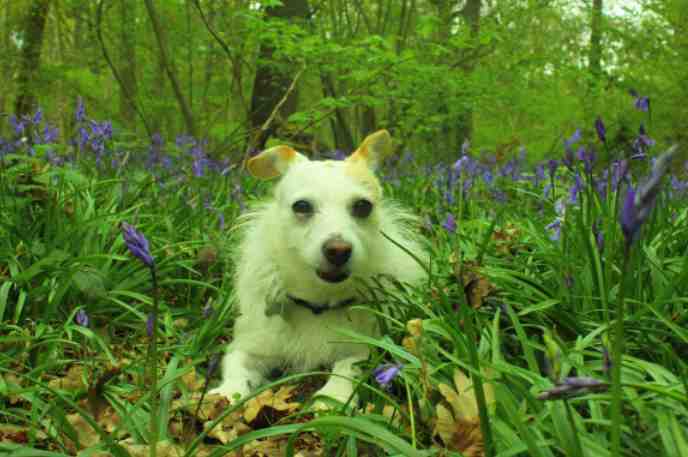 Toby is 9 years old and has been enjoying his daily walks in Selsdon Woods since a few months old. Tika is an unusual and rare breed, we are often asked what he is. Utonagan, a northern American indian word, means spirit of the wolf. Tika short for Tikaani means wolf. - looking intently for a squirrel on the snow. 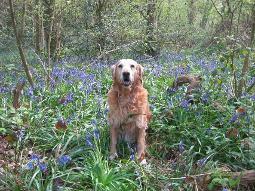 Tess loves gorgeous Selsdon Wood and we drive there regularly. Freddie is a cross between a Samoyed and a Cocker Spaniel and is the Brad Pitt of the dog world. 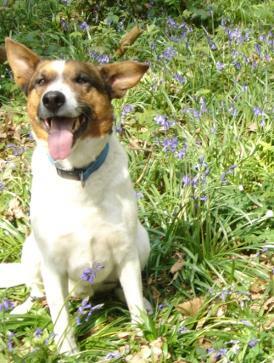 We hope you and your dog enjoy Selsdon Wood. 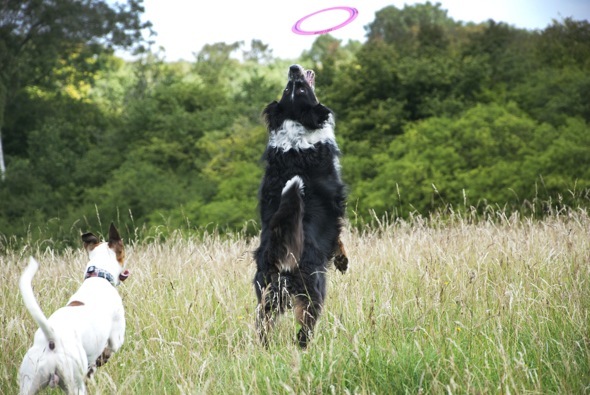 Croydon Council and the National Trust welcome responsible dog owners. They are an important part of our community and are able to look out and report any vandalising and criminal acts. However some owners do not, or are not able to, keep their dog(s) under proper control – these dogs can join with others and run in packs, chasing and intimidating visitors and wildlife. They can also jump up and show aggression to others. This behaviour is against the National Trust Byelaw 8c. 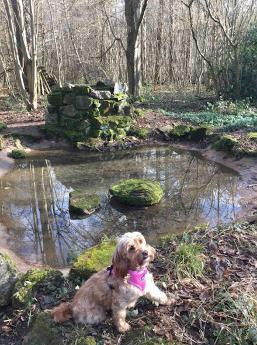 Please protect wildlife in this nature reserve by preventing dogs chasing squirrels, deer or foxes and wandering off the paths through the undergrowth disturbing animals feeding, breeding and sleeping. Please keep your dog within your sight at all times and ensure that it returns when called. If you cannot do this, please keep it on a lead. 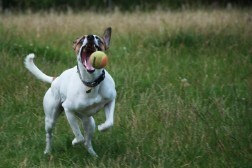 Please do not allow your dog to be aggressive or in any way disturb other site users. If necessary, keep dogs on a lead or use a muzzle. Please remember that your reassurance that your dog "will not hurt you" is not always enough to satisfy those people who have a fear or dislike of dogs. 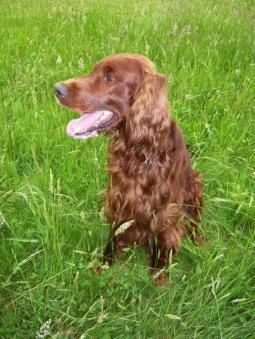 Please ensure your dog is wearing a collar and identity tag so that it can be returned if it should stray. Ideally have your dog micro-chipped. Please always clear up after your dog. There are dog bins by the car park and Kingfisher Gardens gate. The site is too big to provide more, so please be responsible and take your bag home. Leaving used bags lying around the wood or hanging from bushes is unsightly and is classed as littering under National Trust Byelaw 8b. 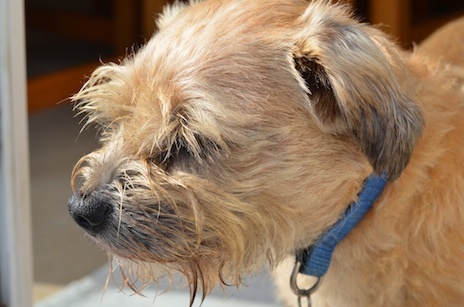 If you are walking more than one dog, are you sure you can still comply with all of the above? 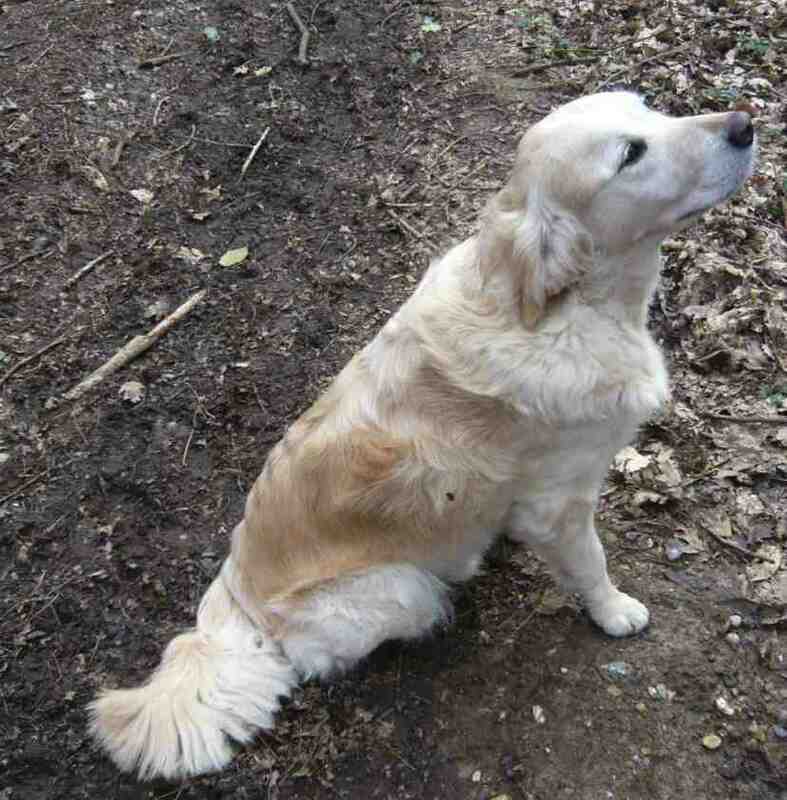 Many people including young children enjoy Selsdon Woods – so please do not let your dog spoil their day! Croydon Council's Dog Control Orders are shown in the above poster. These apply throughout Selsdon Wood. 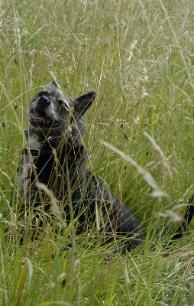 You can download a pdf of the London Borough of Croydon Dog Control Orders from here. Most of the correspondence received by the FSW is about dogs! A female Smooth Collie was attacked at around 10am on Saturday 23rd January 2016. The attacker, a black, long-haired German Shepherd was with two women and a 10 year old boy who had 3-4 similar dogs with them. 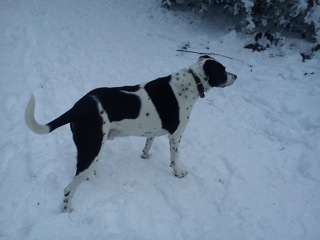 The black GS ran up to the Collie and the Collie's owner heard a yelp and called her dog who came, looking very cowed. She could see no sign of blood at the time and it was not until the people with the German Shepherds were gone that she parted the fur and looked closely. When she got home she examined things thoroughly and took the dog to the vet where two wounds on her back were discovered - they were quite deep requiring stitches. There have been several repeat visits to the vet with inoculations etc and the dog has been very distressed throughout. So it has been a bad business. The police have no interest and as the culprit is unknown there is not much else to be done. 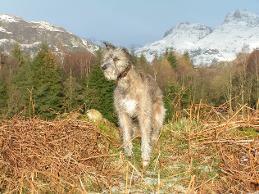 FSW agreed to publicise the story and warn other walkers to be on the lookout. However we received no further complaints about this dog. 19/9/12 - I was going to contact Croydon Council, but thought I would start with you first. My friend and I would like to see some dog waste bins inside the bird sanctuary. We know there are bins in the car park entrance and at the Selsdon Vale entrance, but there is not a single bin anywhere else. We know it would be impossible to place bins in every field, but we think there is a need for more. My friend and I went on many dog walks with our children over the summer holiday and on one particular occasion alone, my poor friend and her children managed to step in 3 separate piles of poo! Luckily, as it's happened before, she was equipped with wipes and gloves. It is very popular for dog walking and I always take poo bags with me and pick up, but there are plenty of people that don't. There is a lot of dog waste left, if there were more bins provided people my be more willing to clear up after their dogs. Some people do pick up, but throw their poo bags into the bushes and trees, I suspect because they don't want to walk the long journey to the designated poo bins. Can you let me know if this has been requested before and what we can do to try and get more bins. Many thanks. We have a lot of sympathy with your argument but Croydon have told us that they will only site bins where they can be serviced by a vehicle. However we too, would like to see more bins - perhaps one at the Courtwood Lane roundabout and one at the Yew Tree Way entrance for example - so do please contact the Council - they may be persuaded by the weight of opinion if they are approached by a number of separate individuals. All dog walkers know that they should pickup after their dog and those that do not do it now would be unlikely to change their ways. The ones who hang it on trees often do so within sight of the existing bins - bags are often left at the top of the car park field, for example. I cannot understand why anyone can possibly think that this is a suitable thing to do with dog poo!!! One thing that we have asked the Council about is a notice to inform people of the existing bylaw that prevents anyone from walking more than 4 dogs. They have told us that a notice will go up 'soon'. The main reason for the limit is that walkers with more than 4 dogs are unlikely to be vigilant enough to pick up after all of their charges so that is supposed to be a strategy to address the poo problem. The Friends have our own notices at all the entrances urging dog owners to be responsible. 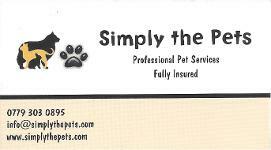 I am contacting you to reinforce the message on your website about irresponsible dog walkers. 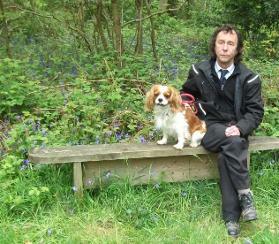 I have recently acquired a two year old Cavalier King Charles Spaniel. He barks and growls at other dogs but I am doing my best to socialize him. In three months he has been attacked by dogs on three occasions. In all cases the other dogs were off the lead. I never allow my dog off the lead. On the last occasion the other dog was a Staffie. There were three women and three dogs in total. This can be quite intimidating for a lone walker with a small dog. Could responsible dog ownership be promoted, e.g. 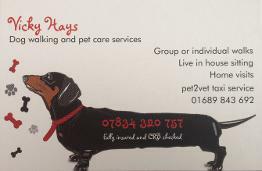 through information leaflets on your boards, collaboration with the council or police and advertising of dog training classes? Thank you to the many responsible dog walkers. Thanks to Jane for this feedback and the suggestions. We do have a poster on most of our boards about responsible ownership and the LB Croydon Dog Control Orders are in force in our wood - see above. 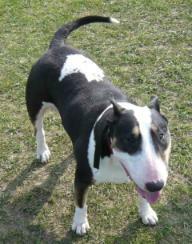 However, we have not thought of advertising dog training classes and will look into that possibility. 22/6/12 - I am a Forestdale resident and frequent user of Selsdon Wood. I run in the woods 3 or 4 times a week. On Monday afternoon I was attacked by two dogs. My clothes were torn by their teeth and I have scratches to my legs. The owner said they did it because I was running. I have also been tripped and barked and growled at by dogs on numerous occasions. There are a number of problems: owners with more than one dog that they cannot control; owners walking in large groups which can have as many as six or seven dogs which then believe they are a pack; a lack of awareness of owners of how their dogs react. I am a former dog owner so I have no problem with dogs. However, I am extremely concerned about my safety when running and the safety of my children when they go to the woods. There is also the extremely unpleasant problem of dog mess which I think is getting worse. I have contacted Croydon about this and I am awaiting a response. I am not sure what can be done, I would be interested to hear what the Friends of Selsdon Wood have to say about this serious and worsening problem. I was almost seriously hurt, I had to physically fight off two large, strong and aggressive dogs. I think it is only a matter of time before someone, maybe a child is seriously hurt. Friends are very concerned about this issue. Indeed one of our own team was recently menaced by dogs with the owner claiming that it was 'because you don't have a dog'. There are no excuses - if you have dogs it is your responsibility to ensure that they behave in way that is not detrimental to enjoyment of the woods by others. The danger to us responsible dog walkers is that reports of this kind might encourage the Council to bring in bylaws requiring all dogs to be kept on leads at all times. None of us want this to happen. Please have concern for other users of the woods and keep your dogs under control. Of course this dog owner has a right to use the woods and we commend this sense of responsibility over difficult dogs. We also fully endorse the final comment!